Has anyone had a Garbel error. serial port . unknown error while running a program. It appears to disconnect from shapeoko . Have to turn power off and reconnect. Right on. 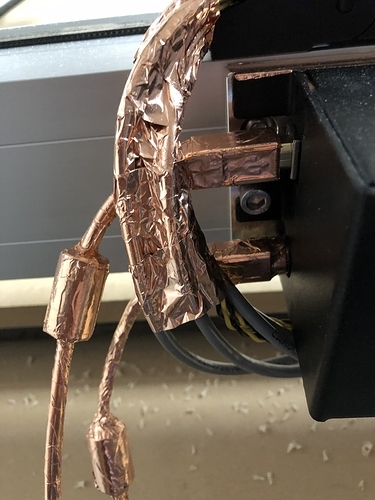 Didn’t even know there was such a thing as copper tape. Will need to find that to. Thanks for the suggestions. Other folks have eliminated disconnects by simply grounding the router. 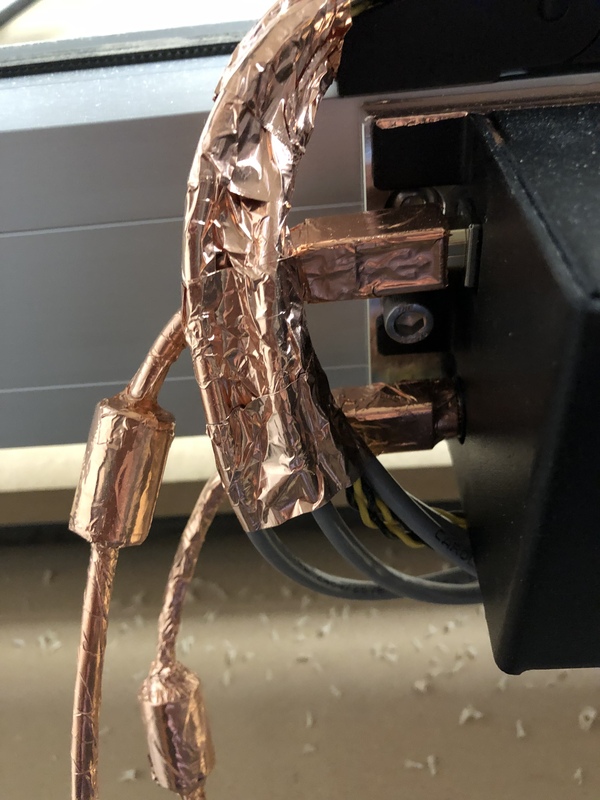 I had an issue with my XXL losing connection occasionally I plugged mine into a surge arrestor and have not had any issues since.